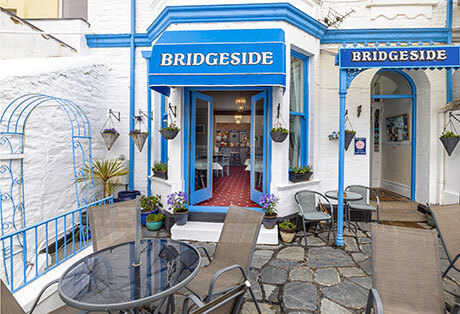 Whether you are visiting Cornwall for business or pleasure Sammy and Belinda welcome you to stay at Bridgeside, our family run 8 bedroomed Victorian house situated in the heart of East Looe, occupying one of the best positions in town with fantastic views across the harbour and the famous bridge which links East and West Looe. 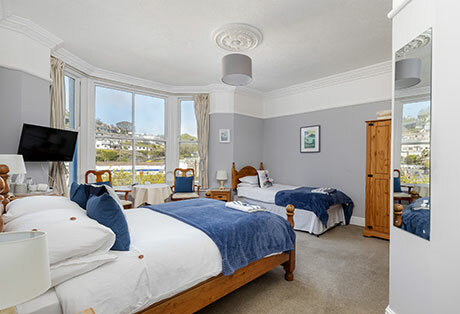 We are just a stones throw away from Looe’s many shops, cafes pubs and restaurants and the safe bathing beach and banjo pier via the quaint narrow streets of the Old Town. The South West Coastal path, train station, car parks and bus stops are all within a 5 minute walk. 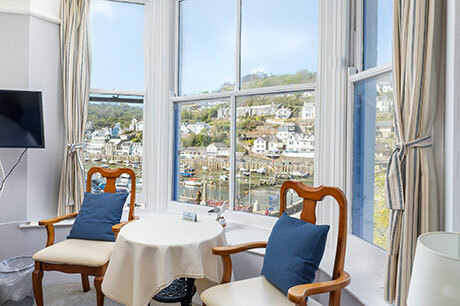 All our rooms are tastefully decorated many having stunning views of the harbour, river and bridge. and include: flat screen free view TV /DVD,alarm clock, radio, hair dryer, tea/coffee making facilities. 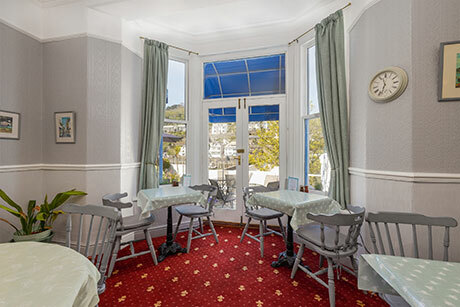 Ironing/laundry facilities, Cots and high chairs, Wide choice of reading books and Board games, afternoon teas and light snacks available, packed lunches. 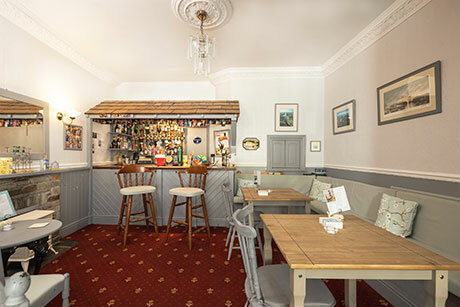 Book for 3 nights for the price of 2 must book via telephone or e-mail. Offer only valid at the time of booking.